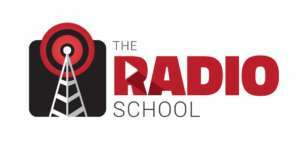 The Radio School has been in operation since 1995 providing part-time courses and training in Radio Broadcasting and Media Studies from total Beginners to Advanced level. We offer a range of evening and weekend radio broadcasting courses and DJ training courses, held in Dublin city centre, and have developed a method of teaching which we believe brings out the very best in our students’ abilities. Our courses are delivered by a team of experienced professionals, all of whom are acknowledged experts in the radio business. Additional areas of the course are taught by a panel of guest lecturers. Our tutors are totally committed to helping students to learn real world experience and skills to enable them to proceed without delay into the workplace. Due to their continuous involvement in the industry, they can prepare students thoroughly for involvement in this dynamic area, at home or abroad. For more information about our radio broadcasting courses and DJ training courses, please follow the links below. awesome school to learn Advanced Radio Broadcasting Skills.